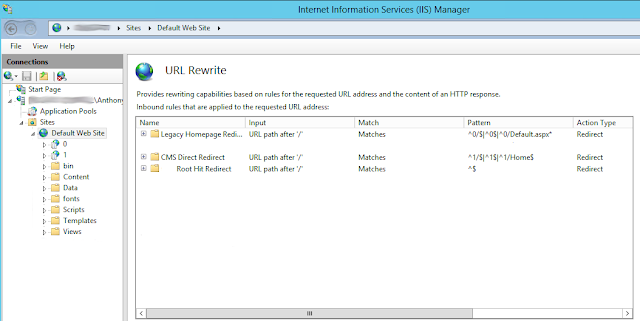 For this setup you'll need IIS 8.0 or higher due to the URL rewrites module. In my method of figuring this out I bumped into some pretty funny infinite loops so be careful those if you're web site is taking an extended time to load. Most of this method is simply using the URL rewrites, and what we try to do is build our application the homepage and have the CMS rest within the back creating all links required point to it. we might simply reverse this setup and build the CMS the homepage, or we could pull data from the CMS into our web application. creating some kind of widget built based on the CMS, that is simple to do if your CMS has an API service already built out. In this example I make the CMS seat behind my web application and routed the CMS's to a subdomain. There's also a legacy site which will seat next to the CMS on its own sub subdomain. If the url's within each application are relative then there's no need to modify them for this setup. 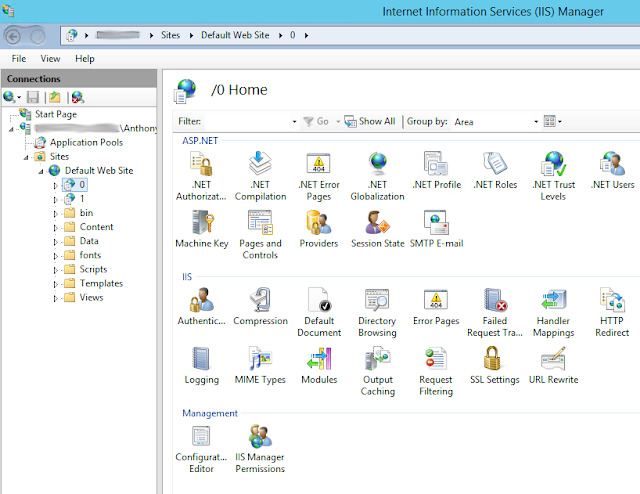 Main Asp.net Mvc Applicatin - url: " /"
CMS Site - url: "/0/*"
Legacy Site - url: "/1/*"
Pattern for Root Site - "^$"
Pattern for Second Site - "0/$|"^0$|^0/Default.aspx*"
Pattern for Third Site - "1/$|^1$|^1/Home$"
The key here is the regular expressions used and also the URL rewrite module that does most of the work. I merely used numbers for the subdomain. I would suggest a little something more meaning if this can be about to be your setup. I probably lost many points in my explanation but I do know that I might repeat if i want to and it's more important to know this kinda of setup is possible.